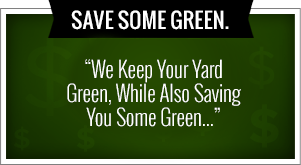 Green Leaf is known for our quality service in our landscaping throughout Tulsa Oklahoma. But when the holidays come around we provide quality service when it comes to hanging up Tulsa holiday lights for homeowners and property managers all over the city. Our commitment and our dedication does not waver. We are dedicated and committed to all of our clients by providing the best possible service when it comes to hanging up your holiday lights. If you want to impress your neighbors this year and not have to climb up on your own roof than call Green Leaf today at 918-640-6405. We are proud to say that we can provide you with the best quality lighting technicians and connect you with the experienced party and lighting professionals here in Tulsa. If you’re looking to simply put lights in your home we can do it. If you’re looking for lighting for your holiday party this year we can do it. Whatever you need we want to make sure you have everything you need from start to finish and completely eliminate the holiday stress that is so common when Christmas rolls around. We also provide you with designers who can install beautiful garland and pre-lit it holiday wreaths. We are here to help you in every way possible. We understand that when Christmas comes around you have so many things you have to get done. Finding the tree, purchasing gifts, fighting through the Mall crowd, planning your holiday event and the list goes on. In fact you feel exactly like Santa Claus who’s going over his list and checking it twice or perhaps even three times. Tulsa holiday lights is at the bottom of your list. Nobody wants to go to their attic or their basement trying to find that box of Christmas lights with layers and layers of tape on it. You also have to spend six hours trying to untangle all the Christmas lights and you soon find out that only half of them work. Avoid this by hiring Green Leaf! Earlier we mentioned holiday events. If you are planning a party at your home, your business or for your company we can help. We can connect you with the experienced party planners and lighting professionals that are the best in Tulsa. They are so excited to give you ideas on how to really make your event sparkle and make sure that it’s a huge success. They are experts in creating a great holiday atmosphere and providing the best holiday party that anyone’s ever seen. If you’re looking to turn your home into a Winter Wonderland then please visit us online today or simply give us a call. We are trained and we have the lighting technicians that you been looking for. What we do is arrive on-site, give you an estimate, install, test, make sure they’re working and put them back in the storage. What do you have to do? Absolutely nothing. Make sure that you enjoy is holiday season by not getting up on your roof and dangling trying to get the lights to be straight. Don’t overstress this Christmas. Why not allow the professional contractors and Tulsa holiday light installers help you out here at Green Leaf. 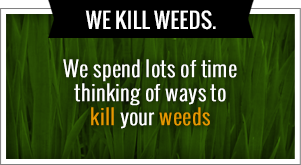 We eliminate the stress, clean up the mess and you don’t have to lift a finger. Is it worth it? If you enjoyed hunting through your attic and your basement trying to find a box of Christmas lights that’s packed in layers and layers of tape and then spending six hours unraveling those Christmas lights then you don’t need us. But if you no longer want to risk your life by climbing up on that roof call Green Leaf today. We have the equipment and the lighting technicians you have been looking for. Our number is 918-640-6405. We are the company that meets your needs the best. Our ultimate goal is to save you time and to save you stress. When the holidays roll around everyone is busy busy busy. Everyone has to act as Santa Claus, purchasing gifts and finding the ideal Christmas tree. Putting up holiday lights is at the bottom of your list. It takes time and it takes hard work to put those lights in the cold. Green Leaf is here to make sure that you have the perfect holiday atmosphere surrounding your home. We also provide designers who can install garland and pre-lit holiday wreaths. Turn your home into a Winter Wonderland. Everyone is looking to save more time especially around the holidays. Fighting through the mall crowd and making sure that you have everything you need for this holiday season can really take it’s toll. The ultimate goal is to move forward and make sure you have everything you need to make this holiday perfect. We provide you with everything you need as far as the Tulsa holiday lights go. We arrive on-site, install, test, remove and put them back in the storage. You don’t have to do a thing but sit back and relax as we turn your home into the ultimate holiday getaway. We understand that most people are planning holiday parties this year. We can propvide lighting with that too. In fact we have the right people to make sure that your holiday event is a smashing success. We have the qualified lighting installers and experienced party professionals who can arrive on-site to take measurements and offer suggestions to make sure that this party is the best. You receive a free on-site lighting estimate and we also take all the measurements that we need. You won’t be disappointed when we connect you with the ideal party planners and lighting technicians for your Christmas event. If you have any questions for Green Leaf please do hesitate to call. We want to make sure that we have everything in order before you come out to your home and start putting up those lights. Get a jumpstart on the holiday season and don’t stress overhanging up Tulsa holiday lights this year. Let Green Leaf take care of everything from start to finish. We hang them up and we remove them. We are ready for you to start moving forward in you having a great holiday season and eliminate as much stress as possible.